Here's a sample car illustration from my portfolio. 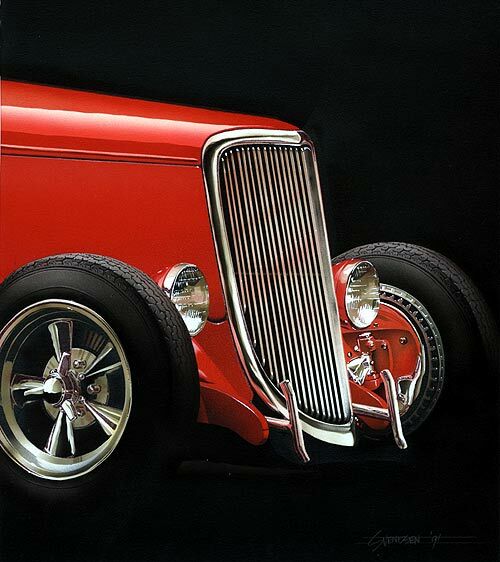 I created this automotive illustration of a '34 Ford highboy using an airbrush. The illustration was inspired on a photo I found in Hot Rod magazine. It took me about 40 hours to complete. The actual size measures 20"x24".